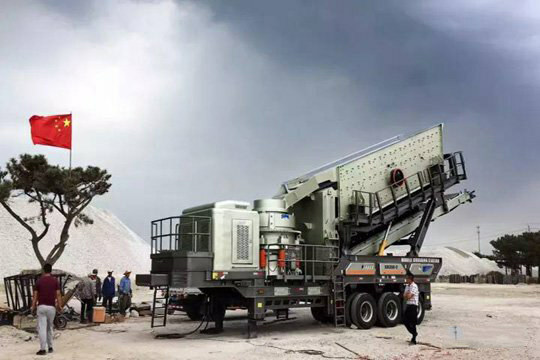 The portable crusher plant launched by SBM are masterpieces that have been developed on the basis of more than 30 years of experience accumulation, installation experience of tens of thousands of machines, and a large amount of capital input on R&D. They can be widely used in many fields such as metal mines, building stones and solid waste disposal to meet customers’ diversified requirements. All actions are controlled by intensified hydraulic system so that the operator can simply and rapidly set the operating actions of the mobile crusher. The operation and maintenance management can greatly save the labor cost. 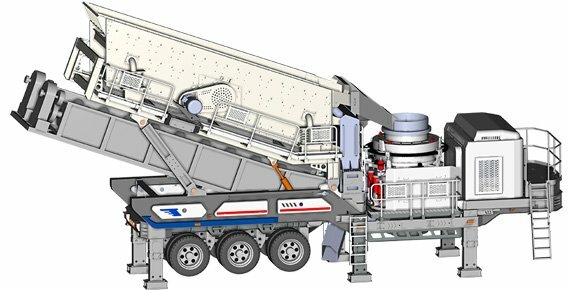 Compared with fixed production lines, this mobile crushers have a shorter engineering period and rapider transition, which not only reduces the investment risk and opportunity cost of the investors, but also avoids the demolition and construction after the end of project, making it more economical and environmental. There are 12 models available for coarse crushing. The capacity can reach 650TPH, and the feeding size can allow 1100 * 1200mm. 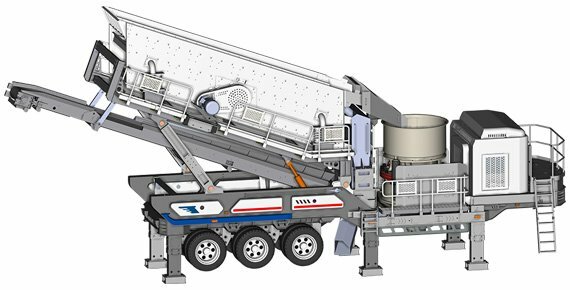 Meanwhile, multiple series of portable crushing plants can not only appear in quarries and the coal industry, but also meet demands for processing concrete and building wastes. 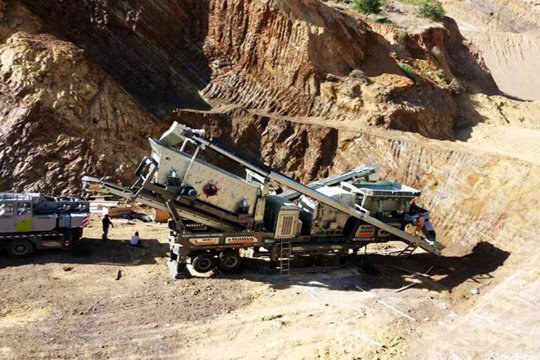 The birth of SBM’s portable crushers for coarse crushing made up for the regret that there is no large-capacity portable crusher plant in domestic area. In actual situations, there may be a large amount of mineral soil which doesn’t need crushing. If users don’t separate it from materials and just feed them into the coarse crushers, the burden on coarse crushers may increase and more energy consumption may be incurred. However, using independent mobile crushers, the mineral soil can be pre-screened with no need to put more equipment or costs. 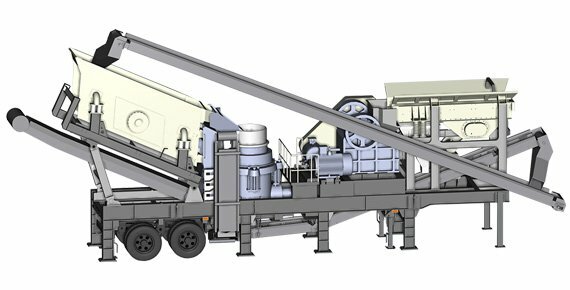 Of portable crusher plants, there are 4 models supporting fine crushing, reshaping and screening simultaneously. 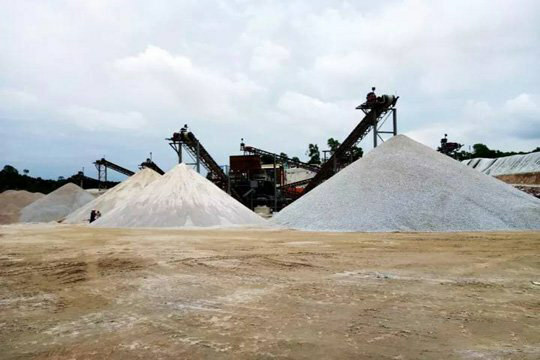 Equipped with advanced VSI Impact Crushers (better known as “sand makers”), the finished aggregates have excellent cubic shape and even granularity, more suitable for concrete production. This kind of portable crusher is specially designed to produce building sand and road sand. They integrate sand production and sand washing. They can not only wash sand, but also classify sand and remove sundries in sand. 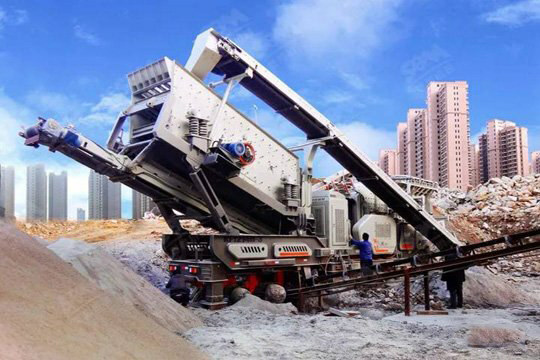 For customers whose project scale is not that big, ordinary combination of portable crushers needs high investment costs. 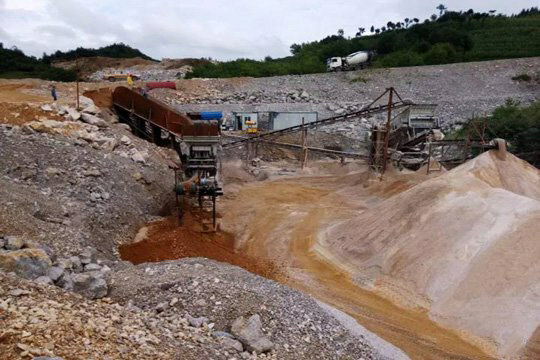 So, in light of this, SBM specially pushed out the independent three-combination of portable crusher plant. In this way, demands for the yielding and the flexibility can be satisfied simultaneously. 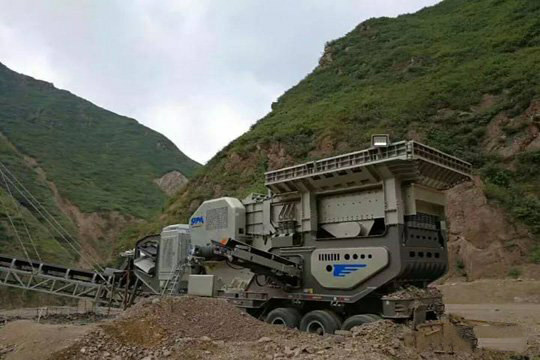 For customers whose project scale is not that big, a four-combination of portable crusher plant is an ideal choice. 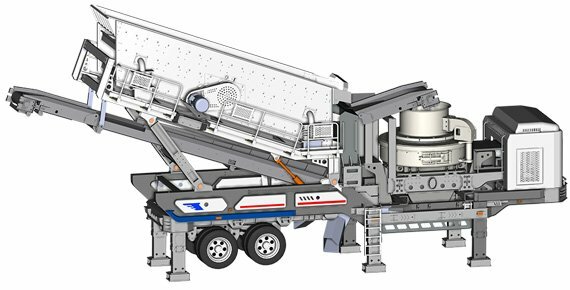 Integrating coarse crushing and intermediate crushing, the four-combination of mobile crushers can finish working independently. The output aggregates can be used directly, high-efficiency and simple. This portable crusher production line is reasonable and simple, greatly reducing the number of belt conveyors and silo hoppers, shortening the equipment installation cycle (installation and commissioning of the entire line only takes about 10 days), reducing the late failure rate of the production line and reducing the energy consumption of the entire line and production costs. Customer Feedback: Our raw material is rock, the production site is located in the mountainous area, and the construction period is short. After completing an operation, we need to quickly transfer to another site for crushing production. The ordinary equipment is difficult to meet our needs. So, SBM offered us a portable crusher that can quickly enter the site. The installation is simple. The maintenance is easy. Especially, aggregates produced have good grain shape and high quality, and the use effect is very satisfactory. 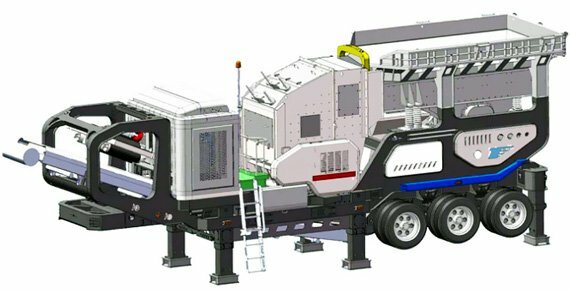 Based on local production conditions and requirements of finished products, the customer made a number of inspections and repeated comparisons, and finally decided to introduce the mobile crusher from SBM. After the production line was put into use, the operation status was good, the production cost was low, and the output efficiency was high, becoming a local demonstration production line. The design of this production line is reasonable. Since operation, the production line has been having high and stable yielding. It attracts many peers around to inspect and visit. Before this cooperation, the customer had established a large-scale granite crushing line provided by SBM. 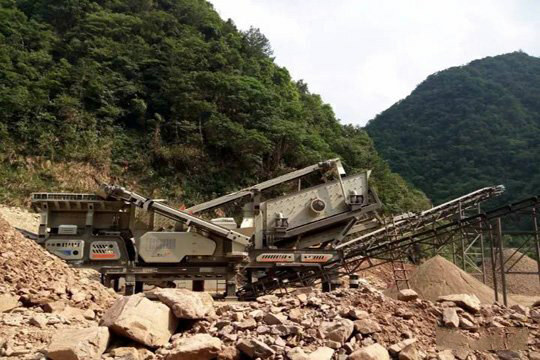 In response to environmental protection and in order to cut the transfer cost of raw materials, the customer finally chose a mobile crusher developed and researched by SBM. Material: Building wastes Capacity: 200T/H Application: Finished aggregates areused in highway cushions, mixing stations and brick-making enterprises. The customer is from a resource recycle company. 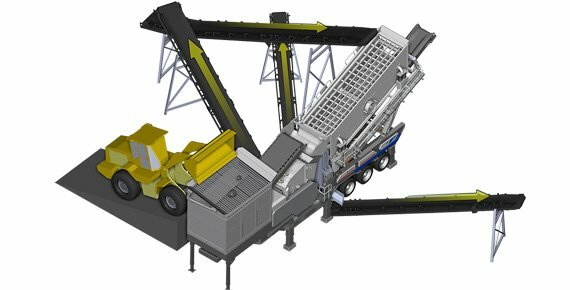 To bridge the demand gap of local aggregate market, the customer decided to invest a production line for disposal of building wastes. Very often, the building wastes are scattered and space of demolition is limited, so how to dispose building wastes with low costs but high efficiency is the question customer cares most. 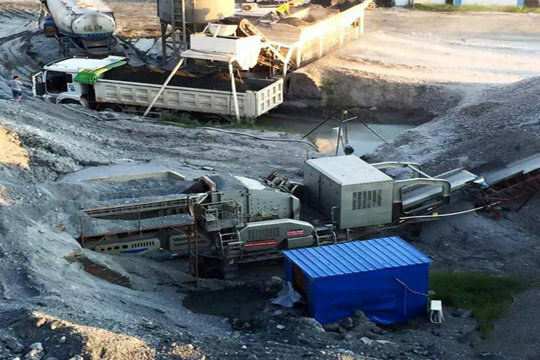 After many inspections, the customer finally chose to cooperate with SBM by purchasing a mobile crusher. 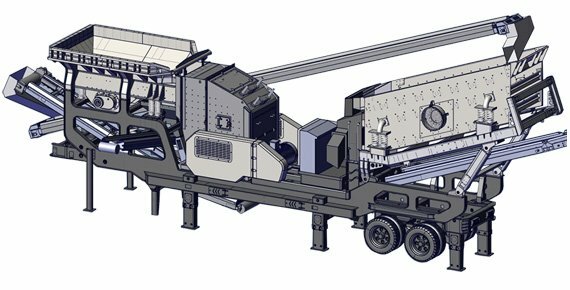 After multiple investigations, the customer chose SBM's mobile crushing station for the treatment of solid building wastes. The production line was designed to produce gravels and stone powder with capacity 130-200TPH. Currently, the operation runs stably and the production line becomes the model of solid building waste treatment in local areas. Before this cooperation, the customer had established a large-scale granite crushing line provided by SBM. In response to environmental protection and in order to cut the transfer cost of raw materials, the customer finally chose a portable crusher plant developed and researched by SBM.